California Schnauzer Rescue View other Schnauzers for adoption. Our adoption area is the LA, South Bay and North OC beach cities in California. No out of state. This is Sookie. She came to us from the central California area. She is approximately 2 years old and our guess is that she is a Poodle and Schnauzer mix. She is a very sweet dog and is doing well in her foster home. We have learned that she is deaf but has mastered the routine at her foster home just fine. She can hear high pitched noises like sirens, horns and barking. She gets along fine with all the other dogs in her foster home and is cat safe as well. She is great on leash and loves going for walks and riding in the car. She will roll on her back anytime of the day for belly rubs. Sookie uses the doggie door and does her business outside. As we learn more about Sookie we will update her biography. (updated 12/14/2017) Sookie is in foster care and can be seen at the Animals Rule Saturday adoption event from 11am - 3pm at Creative Pet Supply -305 North Harbor Blvd. San Pedro, CA 90731. Please submit an application of interest first and read our adoption process link. Please do not call the Pet Supply Store. 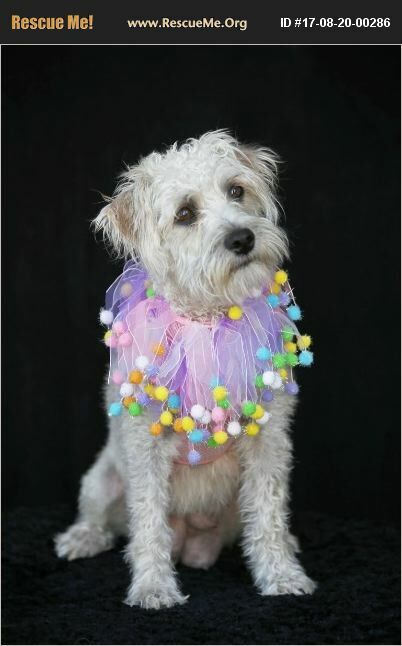 For a rapid response please contact us via e-mail at: info@animalsrule.org Sookie - Schnauzer & Poodle Mix, Female, 2 yrs old, 20 lbs, current on all vaccines, spayed, dewormed, microchipped, housebroken, good with other dogs, kids over 6, cat safe.